Editor’s Note: This post first appeared on the Drift blog here. It’s 2021 and B2B marketing has radically changed. Blogging is dead, and the traditional content marketing playbook doesn’t work. SEO is a black box and Google has the only key (which they swallowed). There are a MILLION distractions for B2B buyers. Advertising is everywhere buyers look – both digitally and physically. They have so many options to choose from, endless information at their fingertips and they can get it wherever and whenever. Growing companies NEED growth. Engineering, HR, finance, even sales — all take a back seat at companies that are desperate to accelerate traction in their market. Enter you: the highly skilled marketing leader. But how did you get here? What skills have you sharpened? What successes have you had in the past three years? I’ve had the rare opportunity to work with, talk to, and learn from hundreds of marketers and marketing leaders this past year. Really good marketers are in high demand. And that demand is growing every year. Can you count the number of times you’ve seen our VP of Marketing Dave Gerhardt on LinkedIn? Not a written post. A video. I’ve watched probably a hundred videos he’s posted. And a lot of those before I even met Dave. 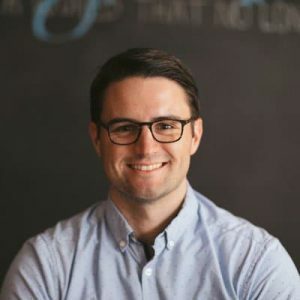 Dave, the co-host of Seeking Wisdom and now LinkedIn celebrity started at Drift three years ago as a senior marketing manager and the first marketing hire. Dave’s career growth and, in parallel, the growth of Drift’s brand over the last few years, are a result of Dave knowing how to play the new role brand builders need — a blend of reality TV personality and brand ambassador. And there are now dozens of employee-led brand ambassadors that have adopted similar tactics. Like Aubrie Przybysz from Drafted, John Bonini from Databox, and Morgan Ingram of JBarrows Sales Training. Every time I scroll through my LinkedIn feed I see their faces in videos — and their brand’s logo. Unlike B2C, we don’t need to hire professional athletes or celebrities to be our spokespeople. We can do it ourselves. And that’s the value. Like Dave, if you can effectively build your brand by advocating for it, you’re going to be a highly sought after marketing leader. This is what the best B2B marketers are learning how to do now — join them. It will be huge for your career. Like video, chat is eating the world. The world’s top four messaging apps — WhatsApp, Facebook Messenger, WeChat, and Viber — now have a combined total of nearly 4 billion monthly active users. But what does that mean for marketers? Selling through chat is what today’s top sales reps are getting really good at. We know: they are our customers. But it’s not just sales reps that need to learn the art of the sell through chat. Marketers who are powering their funnels with bots, for instance, need to know how people buy through chat. And don’t get confused: I’m not just talking about how they close deals. Start with something far more basic. How do you qualify leads? If you think you can take all thirteen questions in your form and just program those as questions into a bot, you’re wrong. Today’s buyer has more options, more information and more power than ever before. Just think about how powerful they’ll be in three years. They don’t want to (and don’t have to) jump through hoops to buy. This skill of being able to converse with your buyers via chat to articulate the value of your product or service won’t just be sales’ job, but your job too. Get good at it. While this isn’t a new skill to marketing, it’s kind of lacking these days! I’m sorry, but it’s true. We wrote about this in our upcoming book This Won’t Scale. Marketing has lost its way a little bit. We’re too consumed by technology and our toys. We’ve lost sight of creating great content with amazing stories. And while the marketing technologist role has been on the rise over the last five years, I predict that won’t hold true in another three years. While we’re investing in tools to help us do our jobs, we’re also seeing the demand for seamless integrations skyrocket. Every marketing technology vendor is frantically trying to integrate with other technologies because every one of those vendors is trying to solve for the customer and the customer demands seamless integrations. So while the demand grows, companies like Zapier are making adding any technology into your stack, easy. The easier this gets, there’s less of a need for marketing technologists to sit at the helm of a marketing team. On top of that — the marketer’s infatuation with marketing technology is going to burst. I know, that’s coming from a guy who works for a marketing technology company. 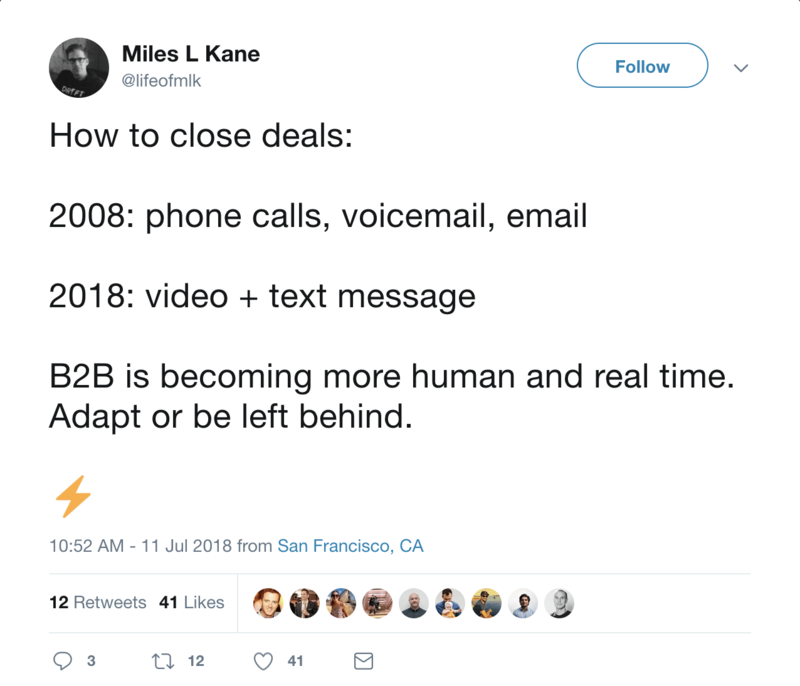 I’m not saying marketing technology will become extinct, only that marketers will start to refocus on the actual marketing and not just the technology. Marketing technology that helps you do your job will always be relevant. But I believe brand building, sharing amazing stories and great advertising will again become the center of the marketer’s mind instead of the technology. If you’ve been at an event, sports game or rally recently, you might have picked up on a change to the way local TV media is covering stories. The camera person is often the reporter. It’s one person doing both jobs. I have a friend that’s a TV broadcaster in South Carolina. He’s the sports anchor and a field reporter. And as a field reporter he goes to a lot of games and press conferences. And he does all his own camera work. He tests the audio, white balances the camera, sets up the tripod — basically everything a camera-person does. Then he asks the questions and records the interview. And even with iPhones, if you were to turn around and look at a press conference from the vantage point of the person being interviewed, there are a ton of reporters holding up their phones, capturing video. Well certainly local TV has less budget to send two people to events. But I think there’s also another why that’s less talked about. Video is everything! Our social networks, entertainment, education is almost all video. It’s eating the world and people (forget B2B vs. B2C for a second) love video, regardless of quality. How many videos have you watched recently that were obviously captured on a phone? How many hours have you spent swiping through Instagram Stories? Content is king, and video content is the ace of kings. So while a lot of VPs of Marketing are hiring video interns or maybe even a videographer full time, it’s the marketers that know how to capture and share video content on their own who will lead tomorrow’s generation of B2B marketers. Oh, and it’s cheap too – both financially and in the time it takes to produce. You already have a phone, start capturing customer visits, team meetings, whatever makes for compelling content. Post on LinkedIn, Twitter, Instagram, your website, your blog. You have three years to prep for 2021. Make sure you’re at the top of your marketing game by not only embracing, but mastering the tools, tactics and strategies marketing leaders of today are already embracing. Remember, 2021 will be all about brand, selling through messaging, owning video and telling amazing, compelling stories. What are you doing to prepare?